Sharon Osbourne was forced to miss her husband’s concert in Mexico over the weekend after she forgot her passport. Sharon and Ozzy flew to Mexico City on a private jet on Friday, but she did not realize her passport was at home until they touched down over the border. The 65-year-old later explained the mishap during her show “The Talk” on Tuesday (May 8). Mexican authorities originally wanted to put Sharon in a “holding tank” but finally agreed to let her private jet take her back home to Los Angeles. However, at that point, the airport had already closed, leaving Osbourne to sit on the runway until the next day. Sharon said she eventually landed in Los Angeles Saturday afternoon. 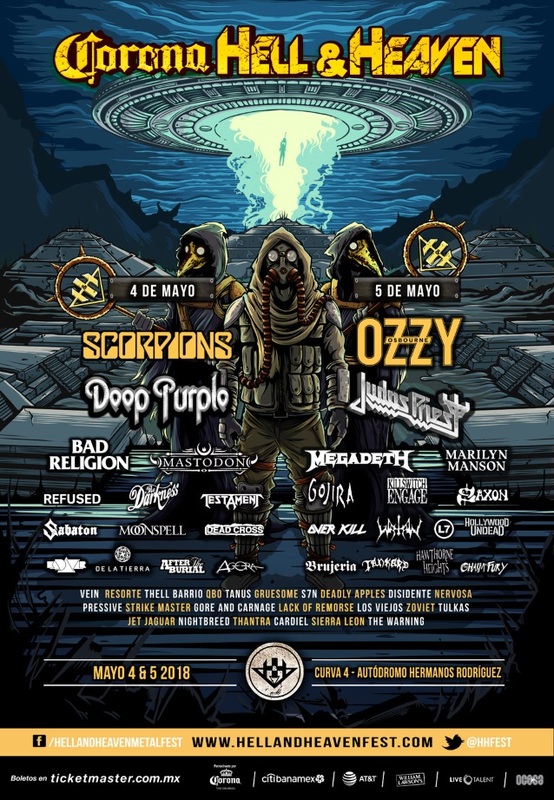 Ozzy headlined the second day of the Corona Hell & Heaven festival. Also appearing on the bill were JUDAS PRIEST, MARILYN MANSON and SAXON, among others.